Term life insurance rates change as person ages or health deteriorates. If a person purchases a term life insurance policy when young, rates are lower than when a person buys the policy when middle aged and seniors pay the highest rates for term life insurance. When an insurance company sells a policy to the insured person, the company is ‘betting’ on the fact the insured will not die. As the risks of the insured person’s dying go up, the insurance company’s risks then go up and the insurance company must charge more for the insured person’s rates. For example, If a person buys a policy at 20 years old, the risks of that person getting a disease and dying is less than if a person buys a policy at age 45 years old. This is one factor that determines life insurance rates for term life insurance policies. This is one reason that it is best to purchase a life insurance policy at a younger age, to keep term life insurance rates lower. Term Life Insurance and health related risk factors. Term life insurance rate considerations used by insurance companies are also the over all health risks of the insured person. If a person smokes or drinks heavily, the risks of the insured person developing a serious health problem increases. This is one reason that life insurance companies many times require a physical examination of the proposed insured person to determine the potential risks to the insurance company. This is the reason the costs of a term life insurance policy is higher for people who smoke cigarettes or cigars. The insurance companies risks go up of having to pay out on the policy sooner for a person who smokes. If a person drinks alcohol heavily, the insurance company’s risks go up of the insured person possibly dying of liver issues or drunk driving or other issues associated with heavy alcohol consumption. This would mean the insurance company would have to pay out death benefits according to the policy. Many times insurance companies have special rated policies which have a lower amount of death benefits and state that there is no health examination, no health questions and other things like this. These guaranteed coverage insurance policies do have a purpose. For some people, these policies are the only way to get a life insurance policy. Many times these guaranteed coverage policies also have higher rates than for those which require a health examination and have health questions attached. Many times a person finds themselves with no insurance and are of an advanced age or discover they have health issues. For these people these type of policies are a great deal. Thinking ahead when it comes to life insurance is crucial, a person should have life insurance in place long before they need it. Term life insurance rates and job related risk factors. Life insurance companies also many times have ‘job related risk factors’ and clauses put into the policy terms stating that “if the insured is killed in a ‘war zone’ because of being deployed by the military, it will NOT pay on the death benefit” of the policy. This is only one reason to be sure to read ALL of the policy binder when a new policy is issued. The life insurance company tries to protect itself, and the insured person should be sure they are getting the actual coverages they think they are getting. Many times police officers in some areas need to be sure that the policy will pay death benefits and there is not a clause in the policy which states that “if the officer is killed ‘in the line of duty’ the death benefit of the policy will not be paid. There are a few other career fields which should be sure to read the entire binder when the policy is issued. Many times when someone retires, the coverage is continued. Sometimes, however, the employee finds that they no longer have life insurance coverage, and should probably find out if the same coverage can be retained or continued with the same insurance company that covered the retiring person. The retiring person must, of course, begin making the additional payments for the amount which was paid for by the former employer. These rates may increase because it is no longer at a group rate, as well. 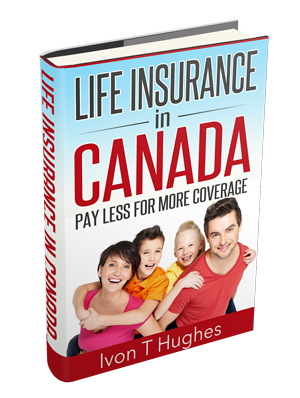 If there is an increase and it is not too much more, the coverage should be retained, since it is more difficult to obtain life insurance as a person ages. When it comes to life insurance coverage, thinking ahead could save a lot of money in term life insurance premiums. This entry was tagged canada, insurance, rates, term. Bookmark the permalink.